Jason Segel confirms that he won’t be writing or starring in the next Muppets movie, and it’s not because of his busy schedule. After the success of The Muppets at both the box office and the awards shows, Disney gave the greenlight for a sequel to the star-studded film. 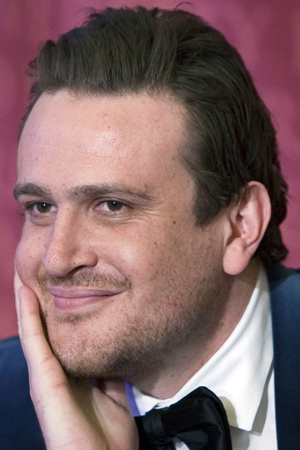 Yet co-writer and lead actor Jason Segel announced that he would not be penning a second installment anytime soon, but may appear as a cameo on the big screen. Unfortunately, the actor has confirmed that he will not be participating in the upcoming film project. Segel told The Hollywood Reporter that his co-writer Nicholas Stoller will be returning to write the next film, as will director James Bobin. When asked why he won’t be starring in the film, Segel didn’t cite his upcoming busy schedule, due to other films in the works or his successful CBS television show, How I Met Your Mother. No word yet on whether Bret McKenzie of Flight of the Conchords will also return to produce the soundtrack for the sequel. His touching ballad “Man or Muppet” snagged the Oscar for Best Original Song last month.